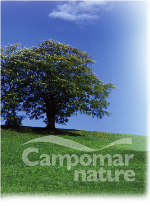 Campomar Nature S.L. is a Spanish Company specialized in organic food, with factories in Sevilla and Alicante, that produces and commercialises table olives, extra virgin olive oil, almonds, vinegar and wine from organic agriculture. Since the growing on the countryside until the final product, all our process is certified by the appropriated Control Institutions, which are in our case "Comités de Agricultura Ecológica de Andalucía y de Valencia".